KEYPR®, the leading cloud-based technology platform for the hospitality industry providing an integrated end-to-end experience for guests and staff through embedded and mobile devices, announced today that The Break Hotel will be implementing its expansive hospitality platform, marking KEYPR’s first property in Rhode Island. Located near Narragansett and Scarborough beaches, The Break has earned its ranking on Condé Nast Traveler’s Readers’ Choice for Top Hotels in New England by providing guests with friendly service, immaculately designed rooms, and spectacular views. Through the KEYPR platform, guests and staff of The Break will have access to a custom mobile app, in-room tablets, and KEYPR’s Guest Experience Management System (GEMS®) which combined, will dramatically improve operational efficiency, drive new revenue opportunities, and meet the expectations of today’s highly-connected traveler. The initial rollout of the KEYPR platform includes deploying in-room tablets and GEMS, with mobile check-in and keyless entry features to be deployed later this year. KEYPR® is a cloud-based guest experience and management platform for hotels, casinos and residential properties. 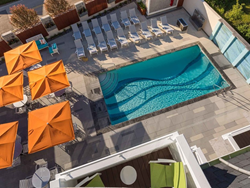 The platform delivers a friction-free personalized guest experience, while creating new operational efficiencies and driving additional revenue opportunities for property owners. Guests can access a directory of services, including dining, entertainment, third-party content and more through an in-room tablet and custom mobile app. The app also allows guests to bypass the front desk via keyless entry. Additionally, owners and managers gain valuable insight through the integrated dashboard (GEMS®) and intuitive tools that provide visibility into guest needs before, during and after their stay -- all while easily monitoring operational KPIs across multiple properties. For further information, visit: http://www.keypr.com. 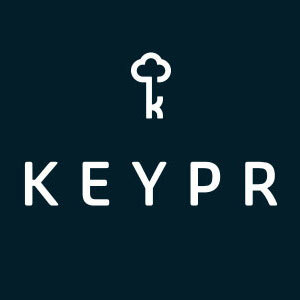 KEYPR LogoKEYPR is a cloud-based guest experience and management platform for hotels, casinos and luxury residences that delivers a friction-free personalized guest experience.